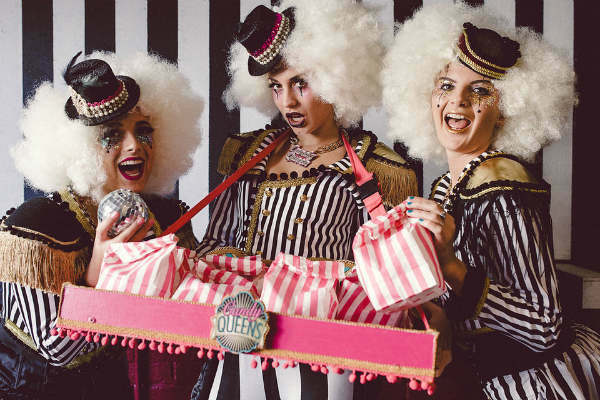 The bubbly roaming games usherettes are able to reach every corner of the venue creating a fun and inclusive atmosphere wherever they go. 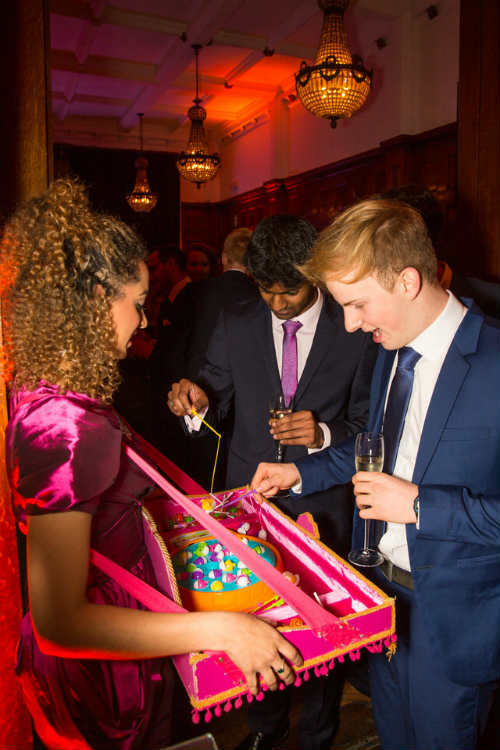 Each usherette carries a classic, quick-fire game which really gets people meeting and laughing together, encouraging some gentle competition – no cheating! 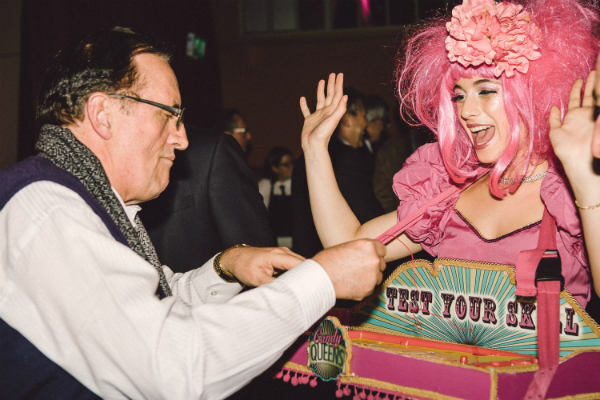 Their advantage is a personal, one-to-one touch, enabling them to mingle and reach all the guests, bringing the fun to all corners of the venue. 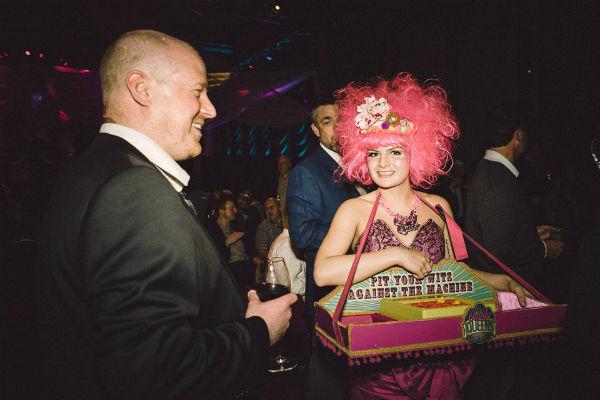 Unlike standard usherettes, they don’t just carry trays, they become part of the entertainment, and help to bring people together for a truly memorable and unique experience. 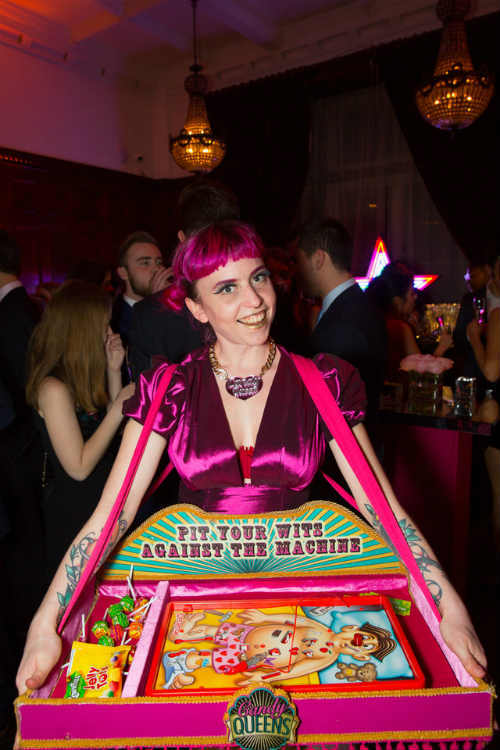 The roaming games usherettes are specially experienced with immersive and interactive games and really know how to encourage play, are happy to chat and interact with the guests as appropriate. They have a growing number of quick-fire games for either single players or small teams. Most popular are Operation, mini roulette, fishing, and Perfection! A number of games are supplied and swapped around during the session to renew interest. The Roaming Games Usherettes are perfect for meet and greet, roaming during the event or after dinner entertainment. As they take up no room, they are perfect for smaller or more crowded venues as well as larger events where the guests are spread over a larger area. Roaming, interactive or walkabout, choose from 2 – 6 usherettes. 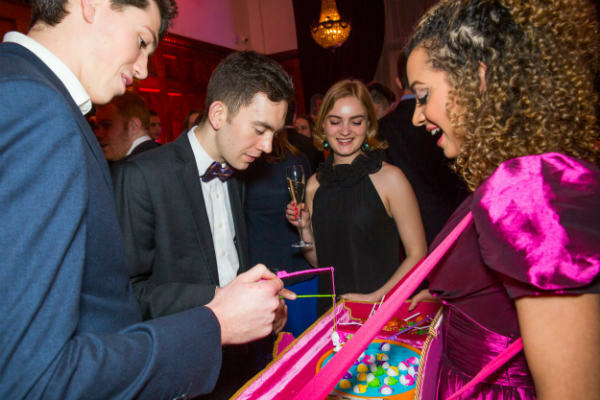 The Games Usherettes are extremely popular for family celebrations, mansion house parties, and events where roaming entertainment is required as the venue has a number of rooms. They have had the pleasure of entertaining for numerous high end private parties where the client likes an alternative touch or there is no ‘main act’. Circus/fairground, pink cocktail dress, 1950’s full skirt style dresses, black cocktail dress, black tie event (black jacket, corset top and skirt), festival/sequins. Please do ask about other costume options as we have a big and varied dressing up box! If your client has promotional gifts or other items they would like to hand out, the usherettes are happy to do this. These may include gifts, sweets and other items. Please note the games usherettes are not trained waitresses and would not be suitable for drinks/food/canapes. One of the highlights of the night! our Candy Queen was a real showstopper! Thank you for making this night unforgettable. You have been an absolute JOY to work with! Thank you for making our Christmas party one of the best on record. You girls were such fun to work with and we’ll definitely be calling you again.